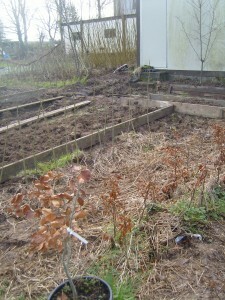 Although I love having such a large garden (and attatched field )it does mean it takes a lot of maintenance and planting. Where we live is called Derryclough -The Stone of the Oak and this used to be all woodland but was cleared in the 1960’s.We are trying to replant but its slow work. We’ve put in hundreds of trees but need much more. 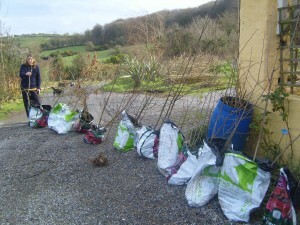 Ive been trying to put in native species-birch, scots pine,oak,hazel,hawthorn ,rowan,elder, viburnum,willow and alder. Huge problem. The majority of trees being sold here as native grown, native species are in fact imported as micro plants(clones) from Holland and then grown on here. This means they are all genetically identical -no biodiversity and susceptable to full die off from a single disease. Also as they have been imported from Holland they are not best suited for our climate and growing conditions even if they are grown on here. Coillte used to collect irish seed and grew on the trees but this practice seems to have beem discontinued, so apart from growing our own, where can we get real native trees is the question. 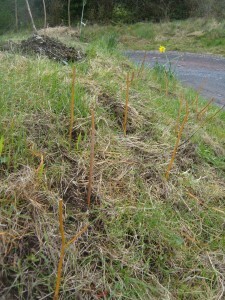 The Organic College in Dromcolloher, Limerick has a nice little tree nursery with seed grown trees. Ive gotten some oaks from them in previous years and they are happily growing about 1 ft per year. This spring I picked up a selection from their nursery of wild crabapples,oaks ,native aspen and poplar, birch and hazel. Fantastic trees and fantastic value. 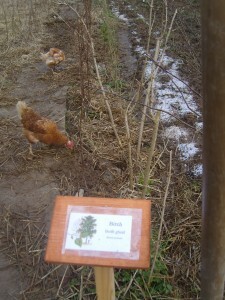 Also try Seedsavers in Scarrif in Clare and the Organic Center in County Leitrim. 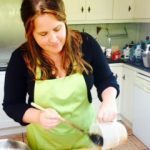 Go to your local market and look for the stall selling homegrown organic produce. The stallholder there will either have sometrees he’s grown from seed or knows a man who has some. Ask your neighbours- theres always someone near you who’s a tree nut and who collects and plants seeds and ends up with more trees than they will ever need and are happy to share (in my case its my father in law). And if all else fails go foraging for trees. 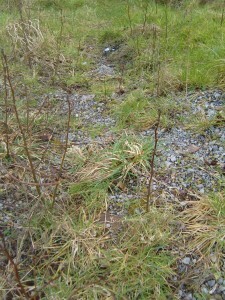 Watch the sides of the roadways.You often find seedlings growing there which will be cut back eventually by the road cutter. Save them from such a horrible fate and dig them up and take them home. 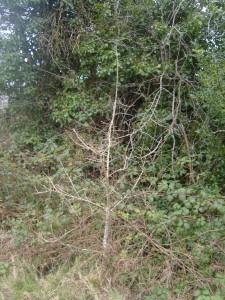 Ash and Elder are especiallycommon on our local verges. Elder roots very easily and if you look carefully at the base of an elder tree you can often find a fallen branch which has rooted and is waiting to be cut off and dug up. Alder has gazillions of seeds and spreads those babies every where. Look around the tree out to about 20 ft from the trunk for them. 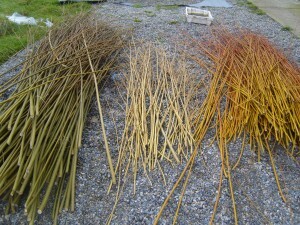 Look out for willow at the side or rivers or streanms and take cuttings from them . 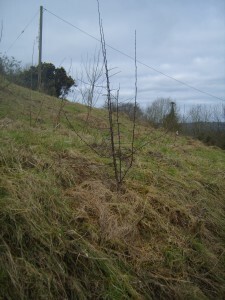 look for long straight branches coming up from the base of the tree, cut this off and into snip into 18 in pieces and plant these .Willow roots like a dream and grows like a weed – you’ll have 5-6 ft trees by mid summer. Go to your local forest.Your trees will thus be suitable for your local growing conditions .You can find seedling trees which are in very poor positions -edge of path ,too close to other trees etc, and the tree wont survive there (At least thats how I justify it). Carefully dig them up disturbing the ground as little as possible. Ive also found sprouted oak and hazel seeds mixed in with leaves on forest paths and at the edge of roads which will only be mouse or squirrel food. I rescued them and they are now 3 ft trees. Have a look where timber has been recently cut in the forest as there are often seedlings stuck in the ruts left by the giant machinery which need rescuing. Do not take trees that have been planted by the forestry. 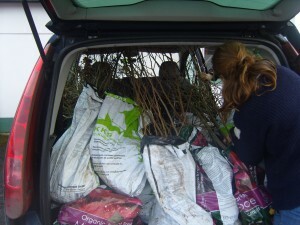 I must go on a search for some willow cuttings – I didn’t realise that they would root so easily. Come up and get some here .